Color blindness is the inability to see the full spectrum of color. This condition also referred to as color vision deficiency, is quite common in males. About 8% of males suffer from color blindness, and 0.5% of females. Fortunately, for the majority of color blind individuals, the condition only provides minor difficulties, and often times not even on a daily basis. A very small percentage of color blind individuals suffer from total color blindness, which is either seeing no color or a very small amount. 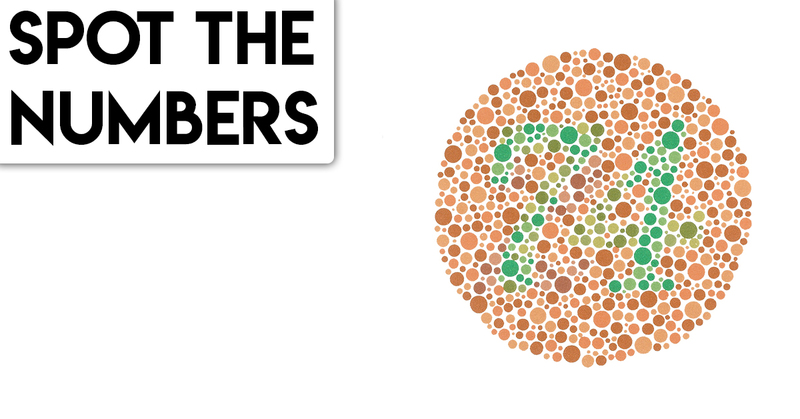 There are varying degrees of color blindness. The most common type of color blindness is a red-green deficiency. How do I know if my Child is Colorblind? It’s actually quite a common occurrence for colorblind children to perform poorly in school. Often times color is used in elementary schools as a teaching aid. Students may be required to color a worksheet certain colors that correspond to the correct answer. If you’re aware of colorblindness, it certainly would be much easier to diagnose your child using an Ishihara color test plate. A simple google search will quickly locate one of these tests. Simply have your child look at several of these color plates and see if they can identify the numbers, and of course, your child must be at an age where they are able to identify numbers.